and encouraged to deliver the required results. ensure all activities are manageable and effective within your current business model. This need not burden your current team with extra work. We will programme manage the implementation of the sales strategy and sales processes for you. We’ll ensure that all your people understand and are committed to adopting this winning approach. 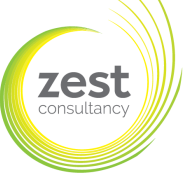 When you work with Zest Consultancy, we relish getting to know you and your team. We look at their roles and responsibilities and review the sales performance of each individual. Only then will we propose solutions that address your particular business needs. This could be complete re-engineering of the sales team. Or maybe just a few minor role and responsibility changes. Perhaps performance improvement plans, or training and development. Whatever the agreed solution, we will programme manage the implementation of the plan, leaving you to do what you do best, running your business.